We understand that having any kind of surgery is potentially stressful and worrying for all of us. In a way, it is easier when the surgery has to be performed out of medical necessity, as many of our patients require for blockage or related functional problems. 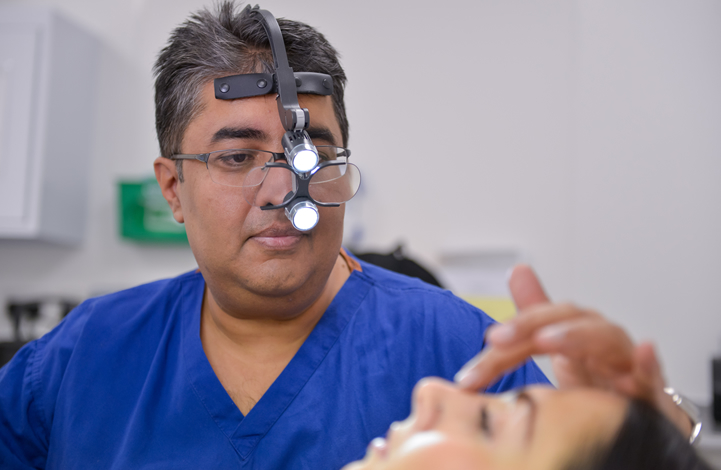 When having surgery for cosmetic purposes, the decision making is perhaps even harder and it is important that all aspects of the operative process are considered in detail. We never "sell" you anything. Surgery is not a product that should be marketed to a "consumer". Our patients make informed choices and are never pressured into making life changing decisions. We will always put your best interests first - we pride ourself on being able to give experienced advice based on many years of surgical excellence in his field. This not infrequently means advising against surgery if not indicated or occasionally, in the case of revision surgery, where it is felt that further surgery would not improve the current result. We will help you make informed decisions about your surgery by discussing all the pros and cons of surgery with you, including all of the potential risks. We will offer up to date specialist photography and 3 dimensional digital imaging to help us show you what realistic changes you can expect in your appearance. It also helps us plan your surgery and ensure that your own expectations of surgery are within ours. We believe in long term relationship building with our patients - our practice is built on "word of mouth" referrals and this comes with continued aftercare and attention after surgery. Many of our patients come in for other treatments based on the success of their initial procedure. We believe in natural looking appearances only. We have all seen people having very "plasticky" looking faces. Our philosophy is completely against this and we pride ourselves in having patients whose surgery is not noticed by others by providing them with a natural, unoperated look that merely enhances their own natural beauty.